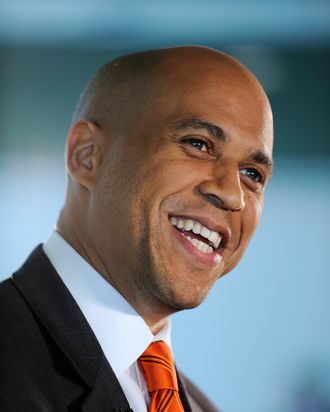 Newark Mayor Cory Booker attends the "Let's Move! Newark: Our Power" at Weequahic High School on January 23, 2012 in Newark, New Jersey. Newark mayor Cory Booker will sign on to the Internet’s biggest message board to respond to inquiries about New Jersey, his political future, his occasional acts of heroism, and possibly some less obvious subjects. Stay tuned.